Twitter is the world's largest microblogging platform with over 500 million users. It is used by the most influential and the most famous people of this world. A business has enormous opportunities to excel and generate leads with the help of this effective social media channel. Top Twitter Marketing Strategies that actually works! 1- Create a complete profile- Before you actually start promoting your website on Twitter, make sure that you are having a complete profile which looks authenticates. It should have complete information and should not be lacking any details. 2- Start by following targeted people or popular people in your niche- For your profile to look complete and to get some quick followers this step is necessary. Be choosy in following the people and keep a defined audience for yourself. 3- Define your followers- Now you must define your followers and prepare a plan to impress them in order to make them follow you. Twitter allows you to type short messages of 140 characters each. This would be the test of your creativity. 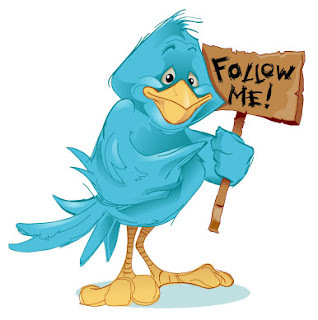 Following a marketing approach with a mix of creativity and usefulness, you must start tweeting. The more your tweet, the greater the chances that people will start following you. But, this does not means that you start tweeting ineffective or rubbish or automated tweets. 4- Give your tweets a purpose- Every tweet should have a defined purpose. It should be targeted to a specific audience at a specific time and at a specific rate. Targeting small group of audience with targeted tweets can give you better and measurable results. 5- Use Hashtags- When talking about a particular story or a brand you should always use hashtags. This would help people to find your tweets when they will search for information on that particular story for which you have tweeted. This gives your tweets a longer lifespan and better visibility. 6- Retweet and engage with your audience- When you will start using twitter for longer periods of time, you will notice that people often retweet other people tweets. This gives your tweet a better chance of getting more visibility and hence even more retweets. You must take the first step and start retweeting other's tweets which you like the most and which defines the purpose of your niche or some other issues. There are always certain exceptions. This way user engagement would happen and soon you would be in the process of retweeting for brand visibility. 7- Measure what works and what not - Measuring your activity on Twitter is important. You must know which strategies are working and which strategies are just consuming unnecessary time. Measuring the activity of your tweets like how it is behaving with your audience is vital to the success of your business. There are several tools like Tweetreach, Tweetstats, Twittergrader, Twittercounter etc. which could help you in measuring this activity. 8- Follow Etiquette- It is extremely necessary for any business or individual to follow social media etiquettes in order to keep a good reputation among its followers. Every marketing strategy becomes successful only if it is followed keeping in mind the behavioral aspects. Politeness is an essential ingredient and you should be kind and polite to every user on Twitter.